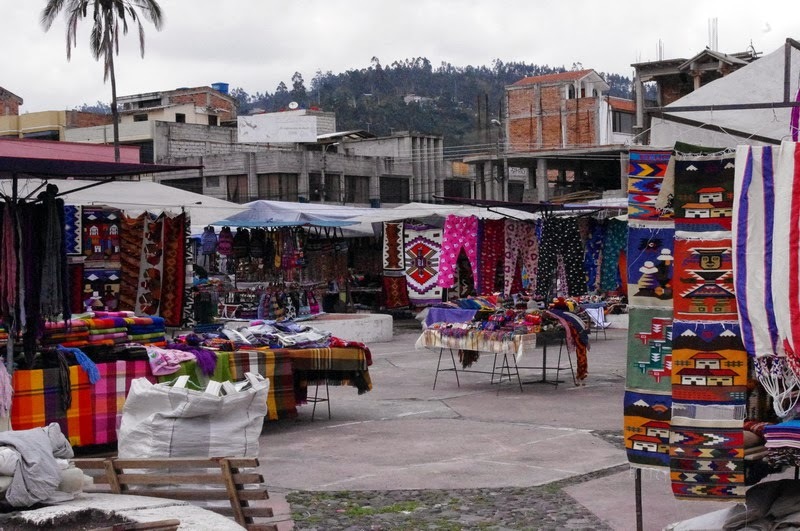 For Tuesday we have bought a Otavalo Market and Cotacachi tour through Gray Line in Quito. After breakfast we were picked up by a bus from Gray Line that would take us on today's trip. We were a total of 15 people - besides us there was one from England and 12 from Argentina. We made a brief stop in the suburbs Calderon where they manufacture traditional 'masapan dolls' (see masapan dolls video). Then we drove along the narrow mountain roads north towards Otavalo . We drove through areas where production of roses - many of the roses we buy in US and Europe are produced in Ecuador. Et single stop on the road by Pablo Lake with a beautiful view of the lake and mountains with its many volcanoes - there are a total of 48 volcanoes in Ecuador. 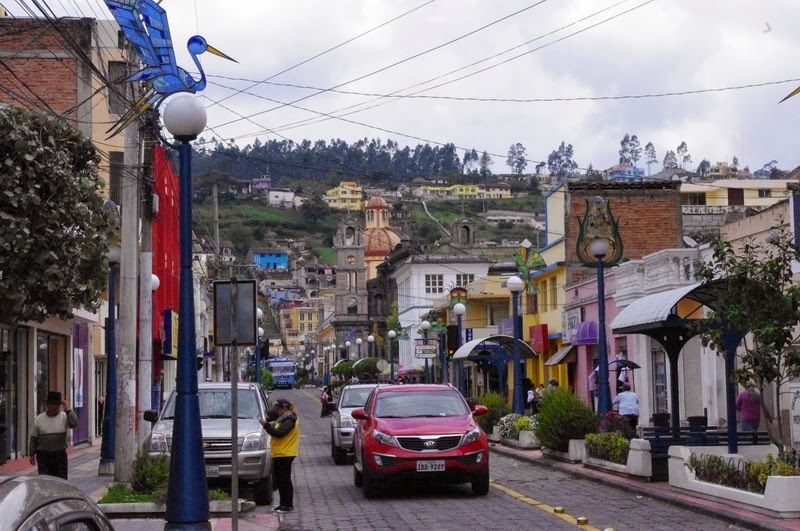 In Otavalo, we visited the traditional market selling local crafts and went for a walk around the charming town. Then on to the leather town of Cotacachi where we ate lunch and walked around the city. And the a long trip back to Quito. It was an exciting trip where we got to see the countryside and some interesting towns. Back at the hotel we got a Manhattan and sushi at the hotel bar. The indigenous Otavaleños are famous for weaving textiles, usually made of wool (that is sometimes as black as a raven), which are sold at the market. Although the largest market is on Saturday, there is a very wide range of wares available throughout the week in the Plaza de los Ponchos, and the many local shops. The shops sell textiles such as handmade blankets, tablecloths, and much more.